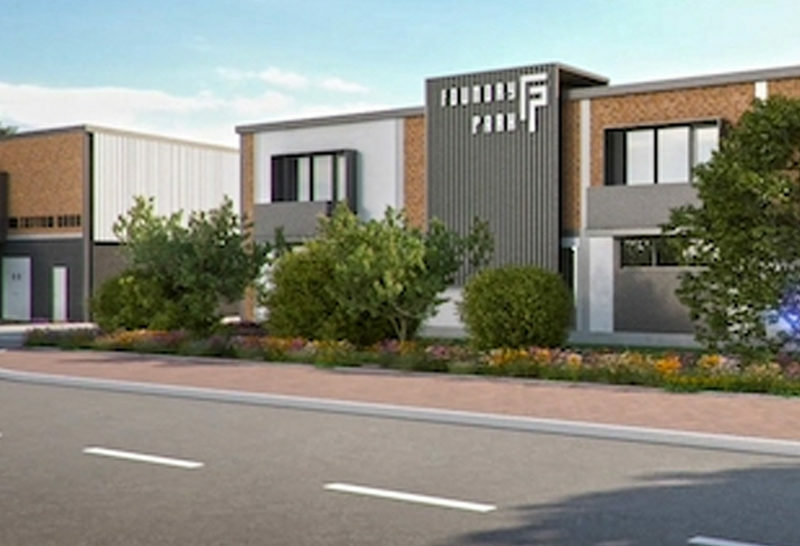 The Cornubia Retail Facility, which is set to boost local economic growth within the integrated human settlements project, will market and expose small and emerging businesses that were being operated from the housing units. 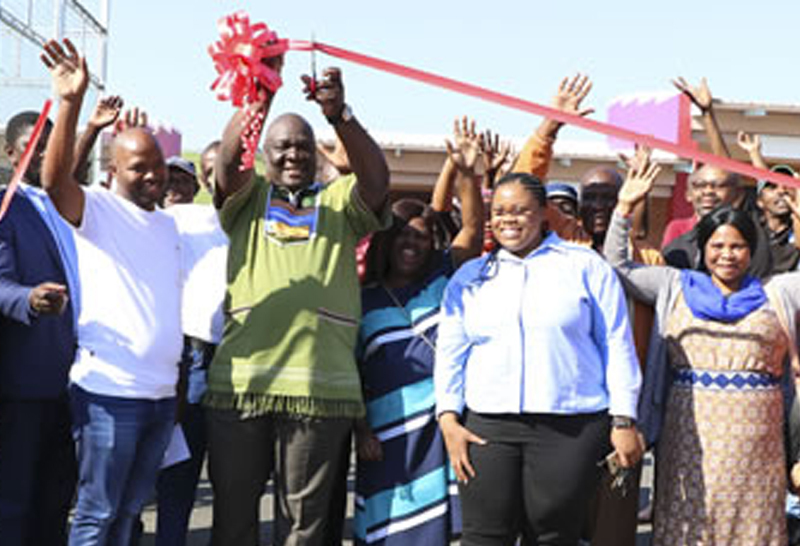 Officially opened by Economic Development and Planning Committee Chairperson Councillor Sipho Kaunda on 12 July, the Cornubia Retail Facility will ensure that the operating environment meets the needs of businesses and enables new opportunities. 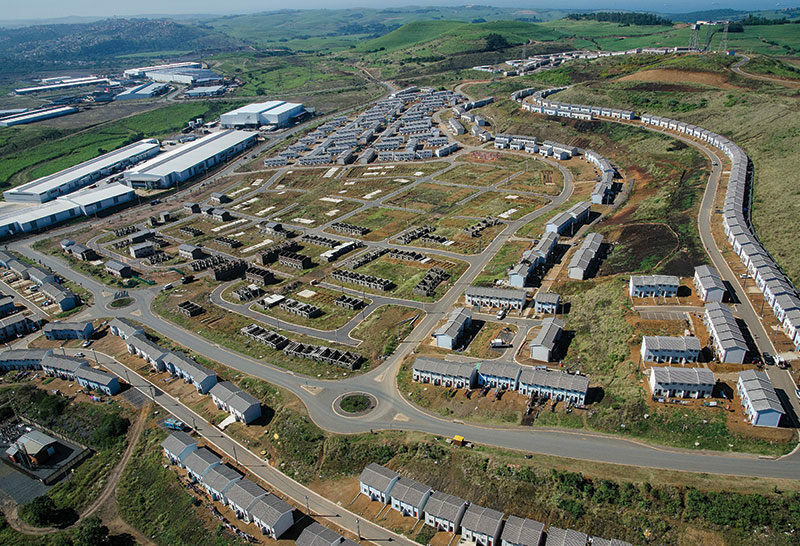 The facility, situated within Phase 1A of the human settlement project, has 10 trading shops which have been allocated to Cornubia business owners. Of the 10 trading shops there is a butchery with a shisanyama facility, a restaurant and other smaller food shops, a car wash, a hardware store, an internet café, a laundromat, a medical doctor’s rooms and a detergent store. 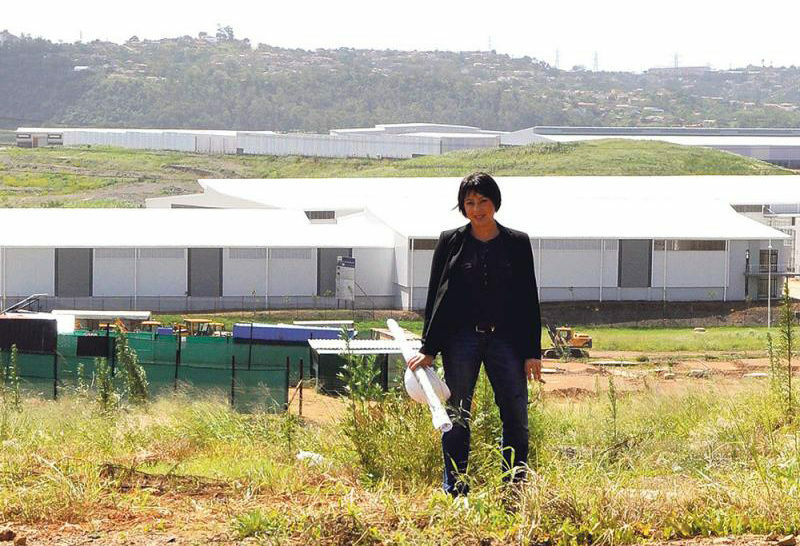 The facility also houses a fenced multiple sports court, ablution facilities and an office. Councillor Kaunda said that street and home retail industries are some of the dominant economic activities at Cornubia. “In response to this need, the City has created a conducive environment by building this facility. In view of the demand for retail trading facilities at the human settlement project, another retail facility in Phase 1B of Cornubia, is at conceptualisation stage,” he said. A database of existing local businesses was created to help identify opportunities for business, training and mentorship programmes for improved capabilities. This has resulted in improved coordination between the labour market demand and supply. Informal Economy Senior Manager Michael Hlangu said the construction phase of the retail facility provided employment opportunities for 10 local people. He said the idea of a multiple sports court, which is part of the retail facility, was to promote a mixed use integrated approach where residents can work, live and play. 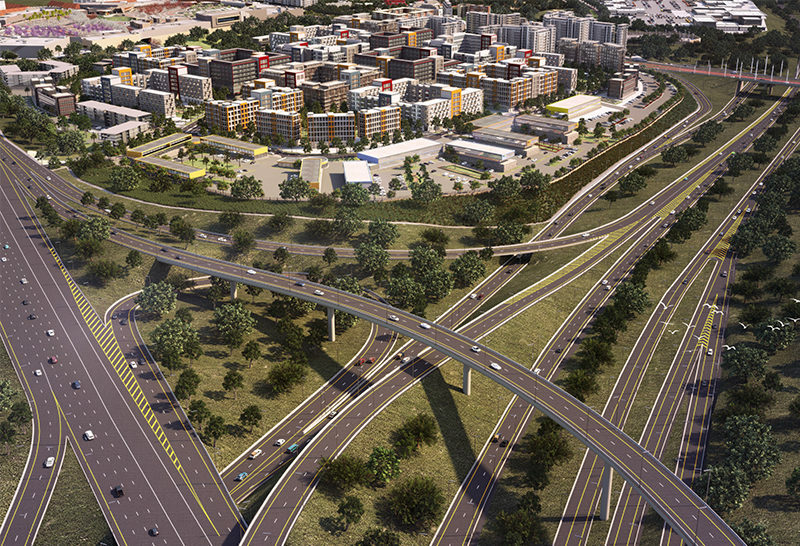 “Given the major housing development programme at Cornubia and other initiatives like GO! 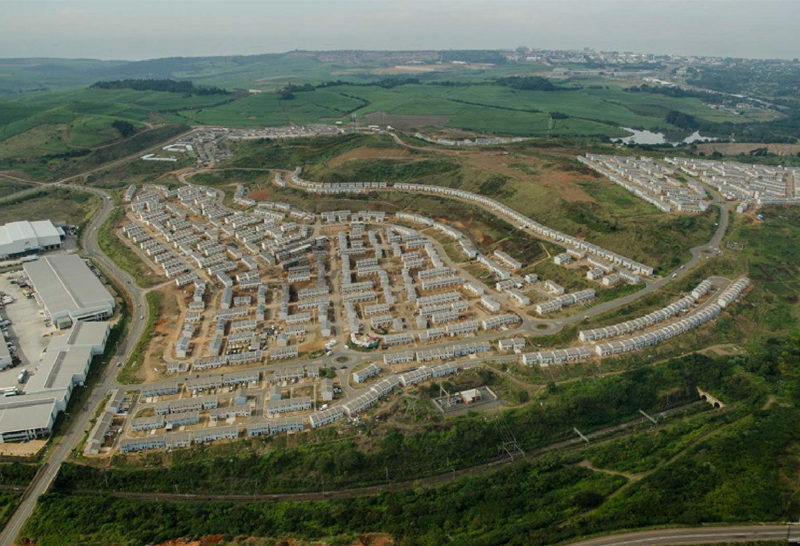 Durban, strong focus has been on construction opportunities that exist for local emerging Small, Medium and Micro-sized Enterprises currently sub-contracting at Cornubia to ensure that they get exposure through the necessary skills and mentorship programmes,” explained Hlangu. Resident and business owner, Asanda Nqweniso of Tshiwo Cleaning Products said the facility will expose and market his business. “I was operating my business from home and this hindered its growth. Having a trading stall will promote my cleaning detergents and market my business,” he said. Members of the Mkhonto We Sizwe Military Veterans Association (MKMVA) and business owners will be operating a car wash from the retail facility. “We would like to thank the Municipality for enabling local economic growth in Cornubia. The car wash will be convenient for Cornubia vehicle owners because we are operating within the human settlement project,” said MKMVA member Mandlenkosi Mahlobo.